When I opened my B&B some years ago, on a shoestring budget and with no real experience, the advice I got from some of my peers was very valuable indeed. I did know that good service and special touches were what made a good B&B into a great B&B, but knowing how to offer the special touches without blowing my budget took a while to master. Many new guest house owners don’t know where to find companies specialising in amenities. Amenities include items such as soaps, shampoo, shower gel, body lotion, disposable shower caps and sewing kits. The obvious choice is to go to your local supermarket where you could buy normal bars of soap or bottles of liquid soap. If you did that, of course, you’d be paying far more than you should. A bar of soap is far more expensive than the mini soaps that the amenities companies supply. Do you buy just one bar per person? 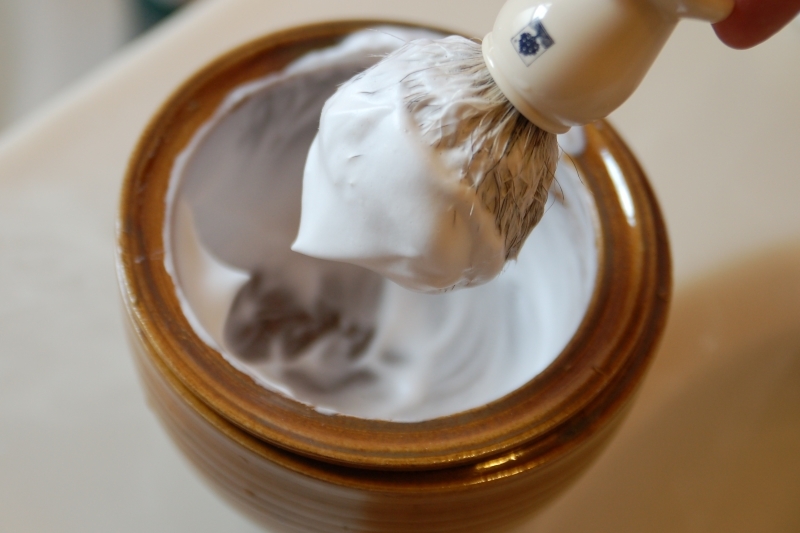 Do you put it on the basin, at the bath or in the shower? Should you put out 2 bars? Let’s assume that you put out just one bar. Unless your guests stay 2 weeks or more they are going to barely use the bar. You certainly can’t use it again for another guest. And hopefully you will have more than 1 guest a week in a room which means you will have difficulty using up the leftover bits yourself so you will either just throw them away – awfully wasteful – or give them away. Far more professional and economical is to buy the proper basin soaps weighing only 25g or the shower/ basin soaps which are 50g and which will last 3-4 days with typical guest usage. The cost of the 2 pieces together is still in the region of what the single bar at the supermarket would cost and they are correctly sized so that you do not become the free second hand soap supplier in your area. The presentation of your toiletries says a lot about your establishment and well-presented professional toiletries con tribute greatly to your image. 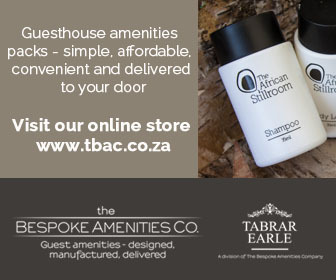 Most establishments have little bottles of shampoo and shower gel for guests to use. Now the question is, do you buy larger bottles and decant into the smaller bottles yourself? This may be cost effective and simple in a small B&B, but may get very messy and time-consuming in a larger establishment. Another option is to purchase normal-sized plunger-type dispensers into which you can decant liquid soap, shower gel or shampoo and conditioner. The problem with this option is that it is unappealing for guests to feel that they are sharing a family sized bottle with other guests who have occupied that room before them. Dispensers also tend to get sticky or tatty. So get-ting the little bottles which are already filled with good quality shampoo and shower gel is the way to go. These are the basics. Next to consider are disposable shower caps, disposable razors, sewing kits, shoe polish sponges, cotton wool and ear bud packs, condoms and toothbrush and toothpaste sets. All these items could be needed by guests and they will be happy that you have them available for them. Do you put these in the rooms for all guests or keep them available at reception with a note that they are available on request? Shower caps are normally placed in the bathroom. Generally the more your guests are paying the more you will just place in the rooms. Otherwise it’s fine to keep them available to be supplied on request. If power failures are a problem in your area then it’s advisable to place a torch or candles and matches in your guest rooms too. If you are in an area where insects are a problem then insect repellent is also a good idea. An important component of good service is predicting what your guests will need and taking care of these needs as promptly as possible. Keeping these amenities on hand will enable you to speedily help out those who forget to pack these items and will earn you Brownie points which will lead to more business, either when the happy guests return or when they talk glowingly about your establishment and feed the word-of-mouth referrals which are so valuable.